This whole book was amazing. But the characters were....wow.....and I mean wow in a good way. These characters were conflicted, had fears and doubts, and felt so real. I really felt I knew Selene (I mean....as much as you could). And Damien was the type of guy that you wish you knew in real life. The rest of the characters were amazingly well done and each had their motivations for things, so no secondary characters felt like secondary characters. I don't think it would be proper to call the "romance" a romance because it wasn't really a romance, per se. Confusing, yeah. It will make more sense once you read it. But if it was a romance (which I'm hoping for in book two) then it was amazing. The worldbuilding was also incredible! It takes a little to fully understand what the Houses are and their parts but it is so thought out and very believable. One of my favorite parts was the symbolism with the light and the dark. It took me a while to fully grasp it but once I did....wow......It was very powerful. Um....nothing. This was a truly amazing book! There was a girl who got raped and Selene sees it in her dream. There is also mention of an affair. I received a free copy of this book from Bethany House in exchange for my honest opinion. 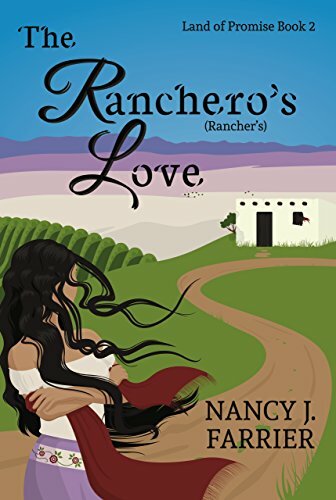 When secrets from Lucio's past are exposed, and Rosalinda faces choices no woman should have to make, will their growing love, and their faith, survive? I always enjoy books whose theme is that of salvation. The theme that, no matter what you've done, you can be saved. Well, that was the theme of this book, and it was pretty well done. The characters, for the most part, were done very nicely. Some did annoy me sometimes, and some characters did act like secondary characters, but for the most part, they were done very nicely. Rosalinda and Lucio were very interesting main characters and had a well fleshed out past, which initiated most of the conflict. Their internal conflicts didn't seem forced and were well written. Rosalinda's children were so adorable! I love when writers write books with children as a focal point, and this book had it done very well. The children did actually seem like children and were not overly annoying. I also enjoyed the setting. Aside from the American Girl Josefina books, I don't think I have read a book set in the Hispanic part of America. As a Hispanic myself, I very much enjoyed reading a book in a setting that I could sorta relate to. I also sorta liked the romance. It was a kinda strange romance, but it was, at the heart of it, very sweet. Something that bothered was how Rosalinda's personality changed. One minute she would be flirty, then serious, then crying, then angry, till you're just like, "Woah......wut just happened"
Some of the conversations were rather stilted, and it was a little jarring to read. And yeah, the romance, I mean, it was fine and cute and all, but something felt....off. I can't tell what, but something was a little odd. All of Rosalinda's children were born out of wedlock, and her lifestyle before she was freed was clearly that she was forced to be with a man. Throughout the book, there is this person who harasses her and the ending he is about to force her to do things with other people but she stands up for herself. And with the whole theme of the book, Rosalinda did not come from a clean past. But I will say that it was done rather tastefully. I received a free copy of this book from BookCrash in exchange for my honest opinion. First of all, the setting of this book was GORGEOUS. Just that opening sentence and I felt like I was right with Lark on the cliff in Scotland. 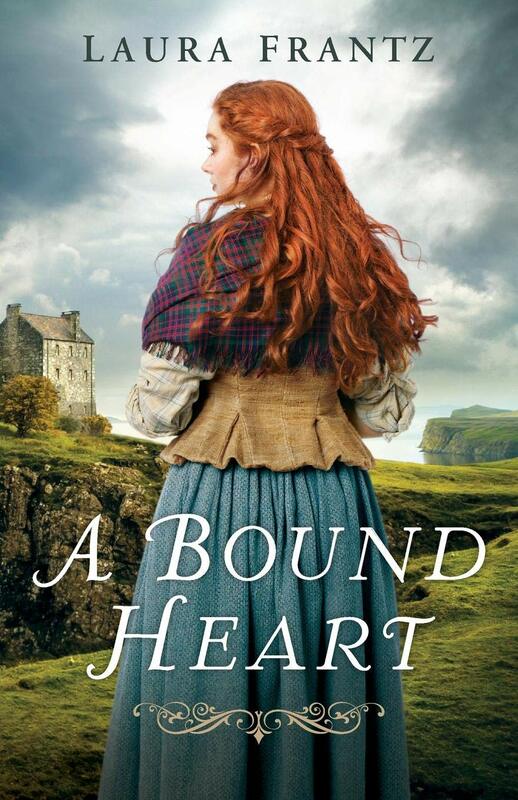 I really enjoy Scottish and Irish stories and this book was made extra enjoyable because of that. Franz has an amazing capability to describe her settings and it made the book that much better. The setting really blew me away. A very well described setting adds a lot to the book and yeah, the setting and description were amazing. The plot was also very interesting. It was something that I don't think I've seen done, and throw in all the settings was really great. The plot was just very well done overall. I also really liked Franz's writing style. This isn't something I point out often (I think), but I don't normally notice the writing style. So it has to be really bad or really good writing to catch my attention. Luckily, this writing style was really good. The characters were also en pointe (yes, ballet pun). I really enjoyed reading Magnus point of view. He was so serious and so good. Lark was also a great character and all the rest of the characters on the Isle of Kerrera were great and felt like real people. Franz could have taken this romance in a whoooole other direction, especially since Magnus is married for about 1/4 of the book. But when stuff finally does happen and Lark doesn't hear from Magnus and yeah and there is THAT guy and yeah. You really learn to root for these two people even though they are able to marry (kinda) but separated. I think the only thing that bothered me A LITTLE is that Lark was one of those girls with whom ALL the guys fall for. But that's it. Larkin's mother was said to be a woman with low morales, and when the officers' pick their favorites it is clear what they are for. And Lark is almost forced to do something she clearly doesn't want to. Have you read any of these books? Do you want to? Which one seemed the most interesting? Which one are you most likely to read? IT WAS SOOO GOOOD. Thank you!! 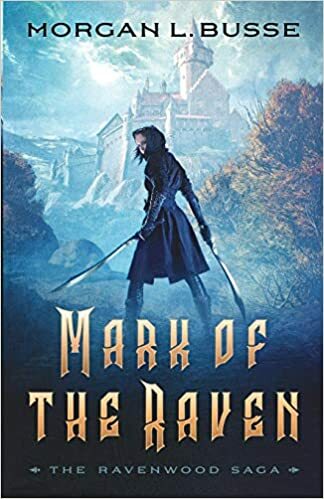 I have Mark of the Raven sitting on my shelf, I need to read it. Great review. Yes you do!! It is SO GREAT! And thank you! I like your reviews! Mark of the Raven looks awesome.